Philadelphia has a plethora of kid-friendly options to explore. This is, after all, the city where America’s independence was declared. 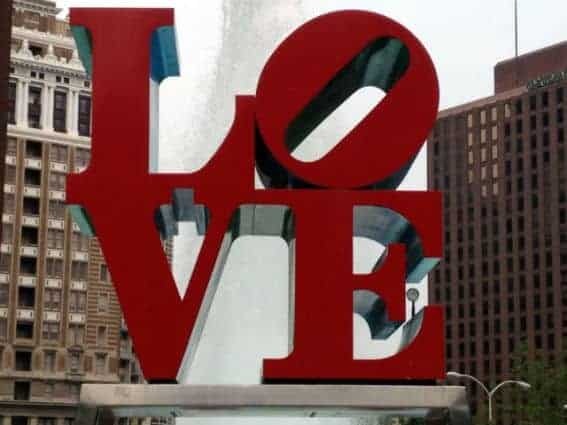 History, museums, and plenty more await your visit to the City of Brotherly Love. Philadelphia once served as our nation’s capital and is brimming with history. Think the kids are too young for a historical tour? Think again. For an introduction to American History and the area, make your first stop the Independence Visitor Center. View a short, informative movie which plays throughout the day, interact with performers dressed in period costumes, make dinner reservations, purchase tickets to area attractions, or get tips from a Park Ranger while you are here. Pick up your free, timed tickets to Independence Hall or consider also signing your family up for the Independence Hall After Hours Tour, which includes dinner and character reenactment of the signing of the Declaration of Independence. Take a short, self-guided tour of the Betsy Ross House to learn about the woman who is credited with sewing the first American flag. Interpreters are in colonial dress and the house is furnished as it would have been during Revolutionary times. Outside the house, in the square, many family-friendly activities are held. Learning about history in school and seeing pictures in a book just don’t compare to seeing the real thing. The Liberty Bell Center is one of those places. Did you know that the last time the bell was rung was in 1846 for George Washington’s birthday? 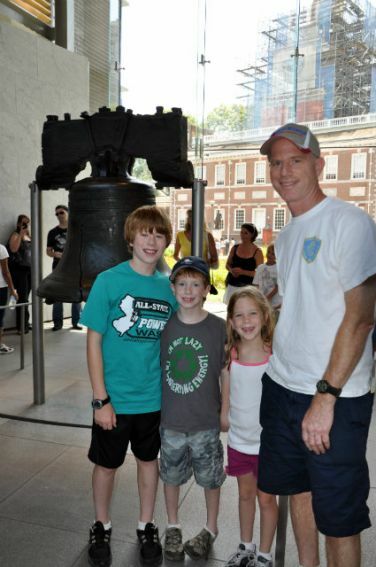 Your family will learn facts like these and be able to get an up-close view of the bell and its famous crack. At the National Constitution Center, visitors are treated to a touching, narrated movie about the meaning of the Constitution. Next, see if you can pass the test to become a U.S. citizen, step into the role of a Supreme Court Judge, take the presidential oath, and participate in other interactive exhibits. One of the most impressive spots in the National Constitution Center is Signer’s Hall. Here, you will mingle with life-sized bronze statues of those who signed the Constitution and then have a chance to sign it yourself! There are more museums in Philadelphia than you may have time for. Pick and choose wisely or come back more than once! Along the Parkway Museums District, there are several family friendly museums located within a relatively close distance of each other. For smaller children, the Please Touch Museum is a must-visit. This museum is located within Fairmont Park and is full of hands-on exploration for the littlest members of the family. Have a dinosaur lover among you? Check out the 30 species of dinosaurs on display at the Academy of Natural Sciences, America’s oldest natural history museum. 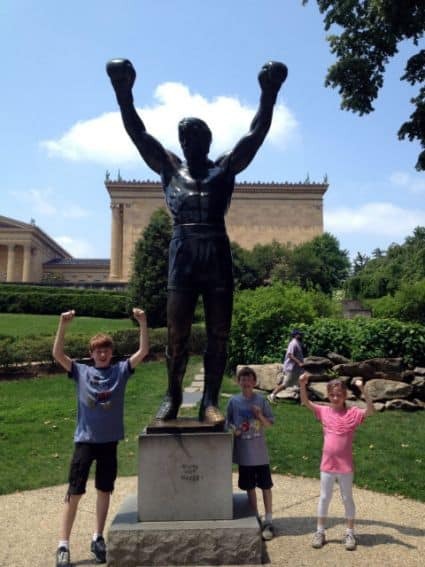 The Philadelphia Museum of Art offers your family a “Rocky Moment” followed by world-class art. For a full day of exploring hands-on interactive exhibits, take your brood to the Franklin Institute. 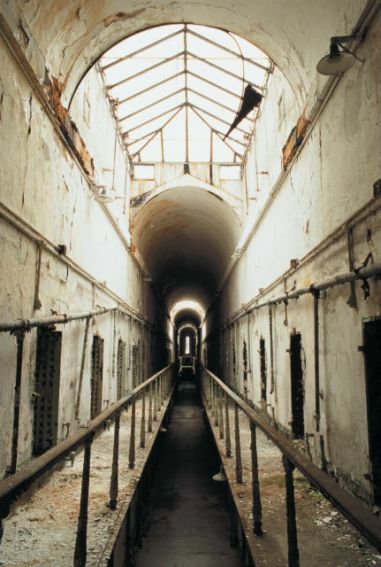 For a museum of different sorts, take a tour of the historic Eastern State Penitentiary. This was once the most famous and most expensive prison in the world, as well as the first true penitentiary. When Charles Dickens visited the states, this was on his must-visit list. The once glorious building was abandoned and left in ruins. Slowly but surely, the prison is being brought back to its former glory. Visit Al Capone’s cell, experience beautiful art installations, and learn about the long history of this famed prison. After one short visit, our family feels we’ve only seen the tip of the iceberg. We can’t wait to get back and explore more of Philadelphia. Disclosure: As part of a press tour, the author and her family were provided a complimentary stay at the Residence Inn Philadelphia Center City and complimentary admission to the Independence After Hours Tour, Franklin Institute, Eastern State Penitentiary, and Pennsylvania Museum of Art. Stay at the Tuscany casino/hotel all mini suites with kitchens. What I heard. Google them or call them and ask. About 1/2 mile from the Strip on Flamingo. They have full service casino, and some restaraunts and a gift shop.